So says Michael Waterford, writer, explorer, adventure entrepreneur, and — he hopes — future world-record holder. The Mississippi River is the “big water” he has set his sights on. This month, he and his team of helpers will plop his kayak into the headwaters of the world’s fourth longest river; he’ll jump in and begin paddling in an eventual southerly direction. “The Big Muddy” meanders as a stream through numerous lakes in northern Minnesota, gurgles down toward the Twin Cities and Wisconsin, and then whooshes more than 2,000 miles, bordering eight more states, until it reaches its silty outflow in the Gulf of Mexico. Should Waterford complete the trip in fewer than 42 days, he’ll be happy and The Guinness Book of World Records may carry a new entry. And what secrets do the Mississippi’s abundant waters hold, especially for a man who’s already paddled the length of the river? Why, it’s just a river, after all. Waterford has seen a little bit of that “everything.” He paddled the Mississippi back in 2013, which he recalled in a Limestone Post story this spring. 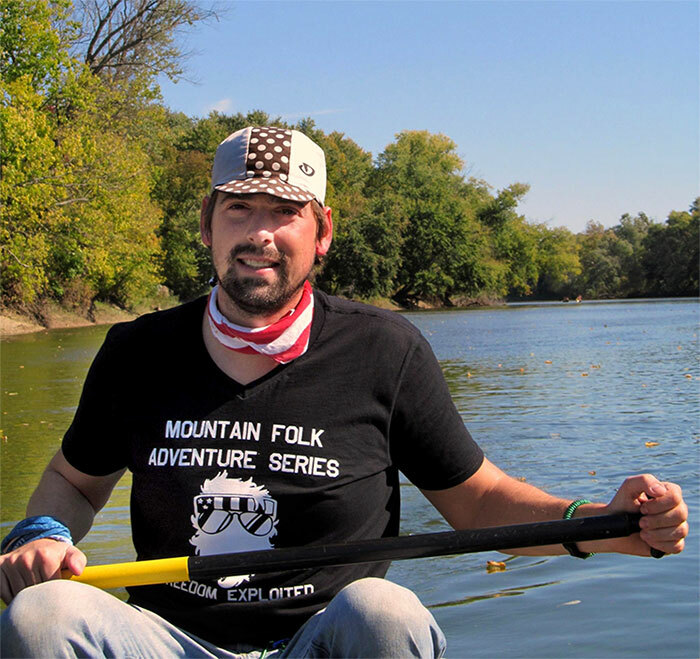 He and an old chum from Ellettsville (Waterford attended Edgewood High before entering the tourism program at Purdue University) decided, almost on a whim, to canoe down the 2,500-mile length of the river. They set out on May 1st but a late thaw had left Lake Itasca, the Mississippi’s source, and a significant stretch beyond iced over. The ice wasn’t their only problem. Waterford and his pal were woefully underprepared. They treated the journey more as a lark. Their canoes were old, rickety, and patched up. They even attached a sofa chair to the stern of one of the canoes. Waterford’s pal bailed on him around Iowa. Waterford finished the trip alone. Well, almost. He hit New Orleans and declared that sojourn complete. The wide Mississippi wends more than 90 miles farther. “I pulled out just off Bourbon Street, and said, ‘I’m done — woohoo!” Waterford recalls. But Waterford’s learned a lot since then and has become more serious about his adventures. 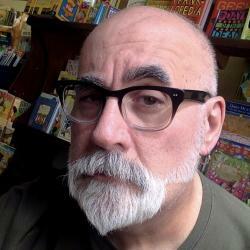 He continued to build his own adventure-travel operation, called The Mountain Folk, which he founded in 2012. He’ll return to Bloomington after doing the Mississippi. When he was a kid, Waterford listened to his grandparents tell tales of the fantastic places they’d been in their lives. “My Grandma Ramona would tell me of her adventures and her trips, and my Grandfather Lloyd would tell me about how he hitchhiked across Italy while he was in the Navy. Cool stories like that made me just want to go and see for myself. Now I’m trying to pursue that all the time. “At first, I just wanted to see Europe. It has changed to more of a career and a lifestyle now,” he says. Waterford did indeed see Europe, in 2011, when he and a friend, running under the team name Eskimo Bruders, set off on the Mongol Rally. A charity event for seat-of-the-pants racers in small beater cars and motorbikes, participants sped, hiccuped, and grinded their gears all the way from eastern Europe to Ulaanbaatar, Mongolia. 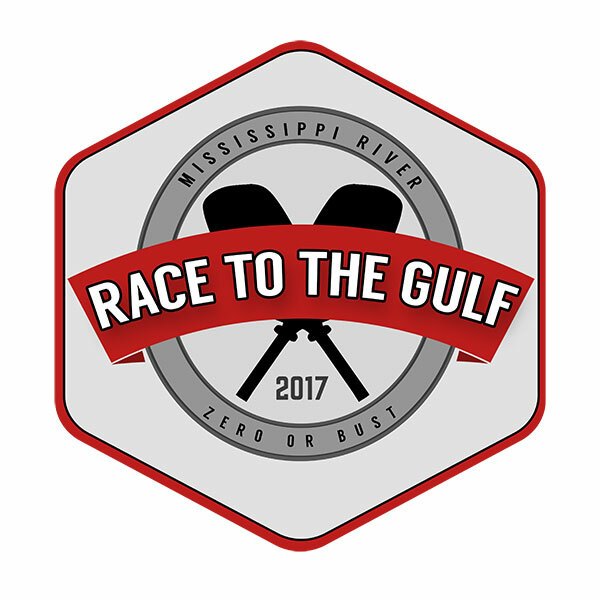 Christened The Race to the Gulf — 2017, Waterford’s trek is sponsored by an international kayak dealer, a Portland adventure outfitter, Bloomington’s UGo Bars, and others. 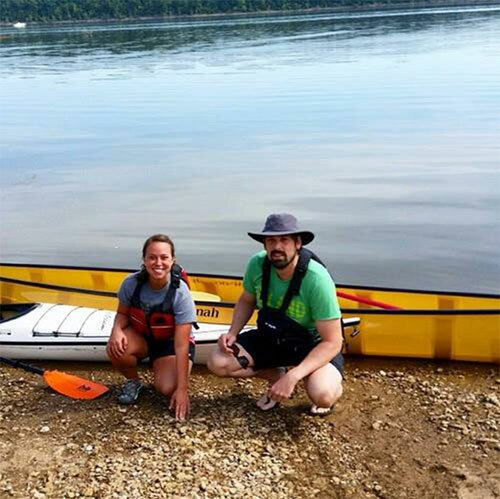 He and his support team — crew captain Abby Keaser of West Lafayette and EMT and overall “fixer” Traci Kroupa of Illinois — set off last month for the Mississippi’s headwaters. While Waterford paddles a hundred miles a day — he hopes — Keaser and Kroupa will follow along on shore in a specially outfitted support vehicle where they’ll all eat and sleep. “The team and I have a 40-page document that we share with details that we’ve been working on for over a year. But all of that is subject to change. We do have a general idea of what it’s going to look like, where we’re going to meet, how many miles a day we’re thinking about, but there’s no way it’s going to go as planned,” Waterford says. Oh, and there are alligators here and there, too. The three adventurers already are in Minnesota scoping out rough patches of the stream, clearing out branches and limbs, and mapping as well as they can the enormously wide, reed-filled stretches where Waterford actually can get lost. Then, when the weather seems to be clearing and the spring flooding begins to abate, they’ll plop that kayak into the water. Nature will set the timer for the race to the Gulf. No Replies to "Big Mike’s B-town: Michael Waterford, Adventurer"